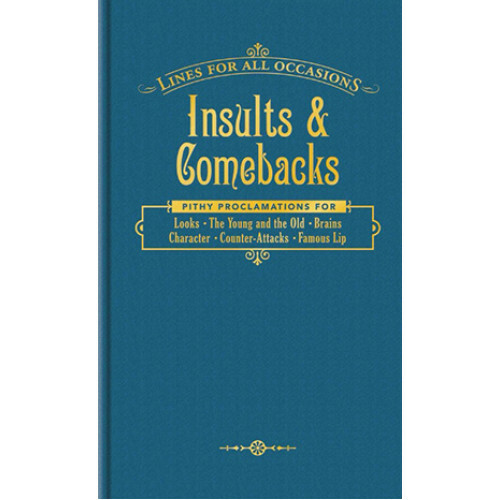 We've wished, at one time or another, that there were scripts for those tricky situations in life - when a foot gets stuck in a mouth, when no words emerge, when the comeback won't come out, and the come-ons get lost. 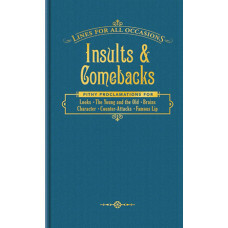 Insults and Comebacks provides a superb collection of these much needed phrases for insulting situations - ranging from the diplomatic to the downright bridge burning! 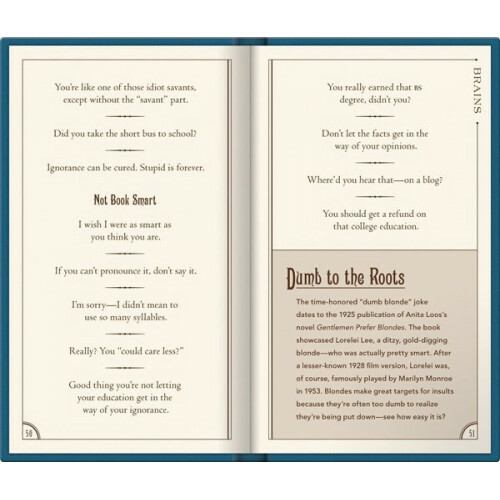 With these pocket sized prompters, you need never be lost for words again!